Magnifying Lamp , 2 lenses each Ø 13 cm (2,25 X, 5 diopt. ), 22 w energy saving circular tube (100 w equiv. 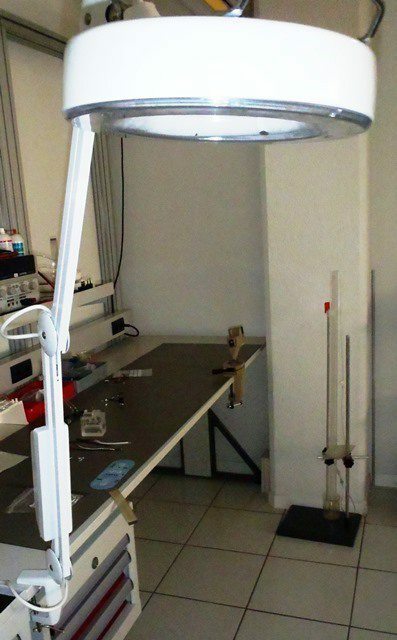 ), flicker-free electronic ballast, total arm length 95 cm, incl. table bracket up to 65 mm, Quick Lens Swap System“ for quick lens change.